I got this Digilent Nexys2 FPGA Board a while ago to practice with VHDL, but I didn't end up using it much do to the fact that I needed Windows to program it. I also found the Xilinx IDE a bit irritating. For me, life is so much easier using vi to edit some text files and typing "make" on the command line to build rather than using a big GUI that takes over most of the display (or on Windows the entire display since Windows developers seem to have the single-tasking "just maximize it!" mentality"). 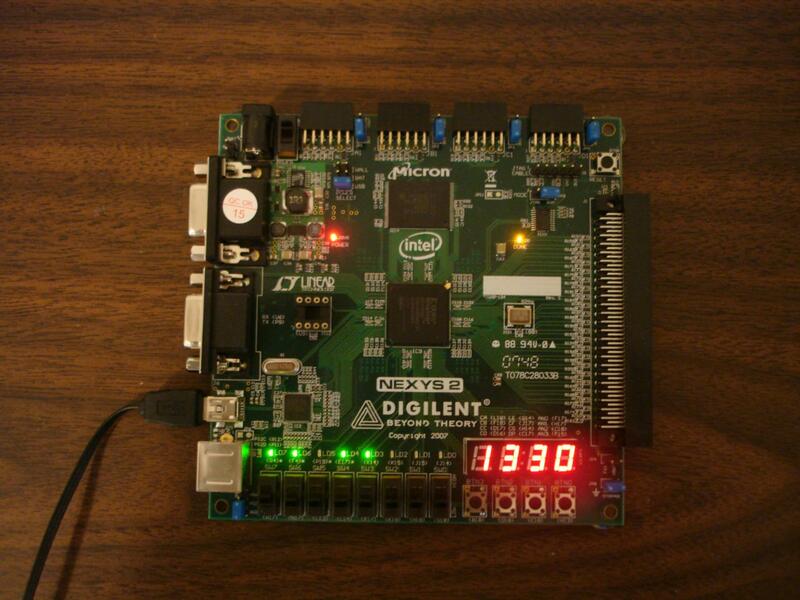 Anyway, I found out over the weekend that Digilent has a Linux version of their JTAG software and I finally found out how to use Xilinx's devkit using only the command line so I made a little test program and decided to post it so others with the same command-line mentality have all the information they need to do the same thing. to get the index of the device I want to program. As a side-note, I copied the /opt/Xilinx directory and ~/.Xilinx (for the license file) from my 64 bit Gentoo box to my little Ubuntu netbook and ran the Digilent installer for the 32bit version and this whole process works now just the same on that computer. Here's some VHDL code for doing rs232 communication on the Nexys2 board. This program will send the letter "C" when button 0 is pushed and will echo back any chars sent to the UART.